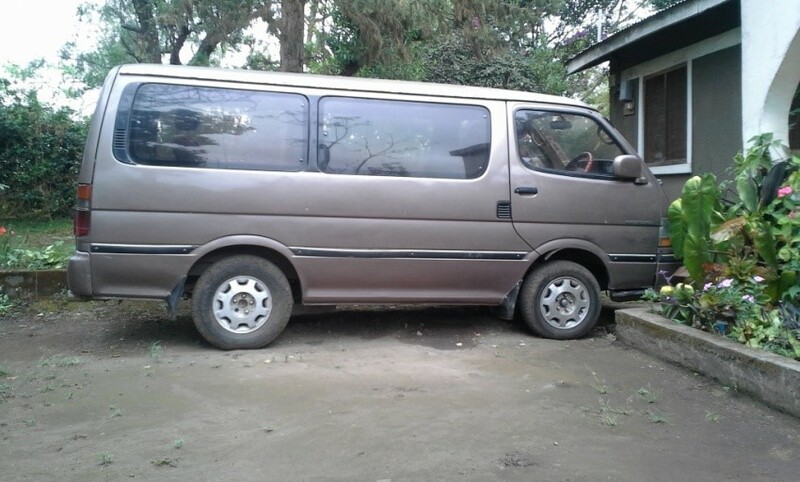 In 2007 the Tanzanian SDB Conference was blessed with a Toyota Hiace that they have been using to travel across the most demanding terrains of their country side, spreading the gospel and ministering to their people. 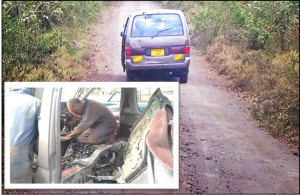 But now this ministry has stalled with their vehicle down for repairs. 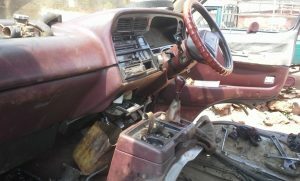 They are now seeking partnerships to help repair their mode of transportation for ministry. 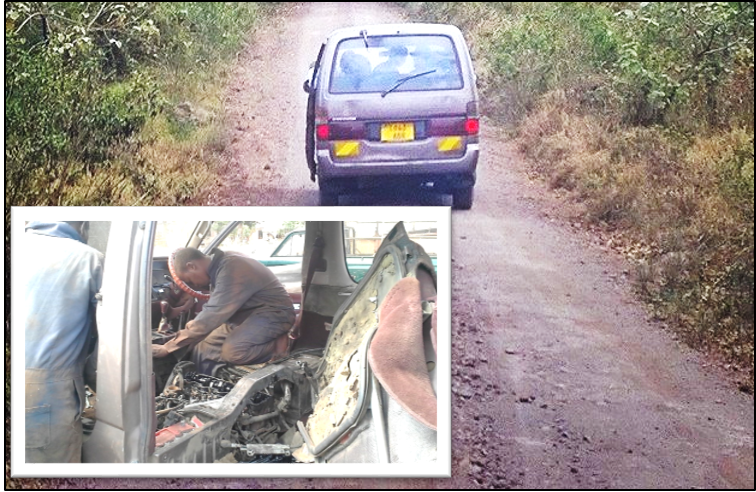 Pastor R. Ryakitimbo (Tanzania SDB Conference) reported that this vehicle has always been effective over the remotest locations even where pavement is nonexistent. Many ministers, including some sent through the Missionary Society, have benefitted from the use of this transport. According to auto technicians, this missions vehicle requires major work on its engine, projected to cost $850. Our Brethren are seeking support to raise $800 of the $850 and need your help. 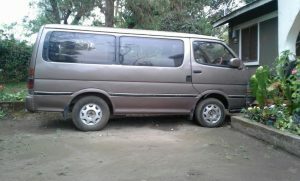 This Vehicle is critical to the work of our Tanzanian Brethren. How can you help them put this damaged tool back in service to continue the work they have started? 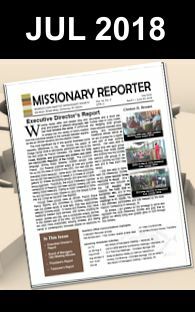 CAN ANYONE SAVE THE AILLING MISSIONARY VEHICLE?? 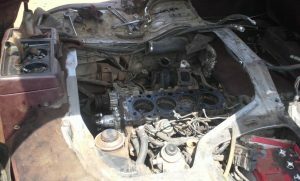 Almost two months ago, the Toyota hiace vehicle is ailing and has been pushed into s corner in the residence of the General Secretary. I’m worried if it being covered with dust and cobwebs, and it becoming a porch of passing birds. In a sense, I feel sorry for it. It was indeed a camel of hope, taking us across the Serengeti national park and saranda slopes in western Tanzania to reach SDB churches in the lake zone, shinyanga, kigoma, katavi, dare salaam and mbeya regions covering thousands of kilometers without complaint. It was rarely down with an ailment, something to fix. I have to say it was a master when it came to transporting SDBMS missionaries across mainland Tanzania to minister for Christ ie. Training of leaders, encouraging brethren since 2007. Among others, the vehicle carried George looper ( then executive director), Danny lee (president) and brother Clinton brown ( current executive director) in sacred fulfillment of their mission call. 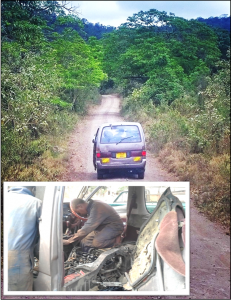 It has been always willing, and usually able to tackle some of the most demanding terrains of remotest katavi, kigoma, simiyu, and musoma rural locations where tarmac routes are nonexistent. If you wanted a missionary adventure and something to talk about, the old trustworthy vehicle could provide it. But now it is time to make an over whole fixing to give it more life in the missionary field. 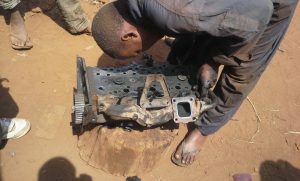 According to auto technicians here the repairs exercise need two PISTONS, Four Piston rings ( replacement), timing belt, FAN BELT, Cylinder head gasket ( replacement), heater relay to boost ignition, fuel pump, clutch plate( replacements) sterling rack and turbo liner kit. These total cost of all these Auto parts inclusive of labor is USD 850.